When I was new to modeling almost a year ago, Jalisa Ocean was one of the first designers I was asked to shoot with. She gave me a taste of fast wardrobe changes and catalog – it was my first time experiencing them as the face instead of crew. It’s almost Spring again, and I was blessed to be pulled into another shoot with this amazing local designer. As appose to multiple garment shots, this time we would be shooting a creative editorial with two complete outfits and fine attention to concept and detail. 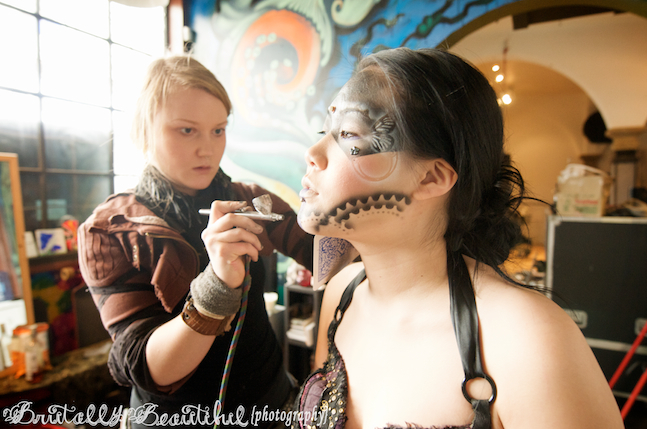 Meeting up at the studio in the morning, I was greeted by Tawni, who would be doing our makeup that day. I was really excited when I heard what she had in mind; I’ve worked with airbrush many times, but haven’t had anyone paint my face since school three years ago. 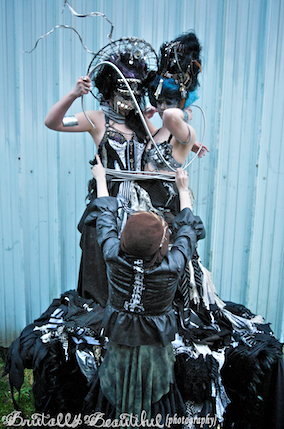 The theme was a mix of steam-punk, Gothic, pirate, and industrial. The garments, costume like, and accessories unreal. 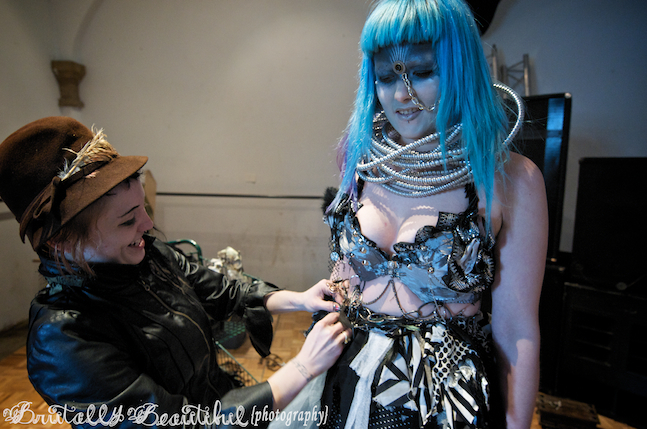 Each part had it’s own role in mind, and we got pieced together with jewelry from a few other designers. I had these insane metal cuffs and matching rib band painted with black snake print, my counterpart’s back was dripping in chained necklaces of all sorts. Heading outside, we were directed into a few different locations where we would shoot singles and doubles through the lens of Amanda Bullick of Brutally Beautiful Photography. 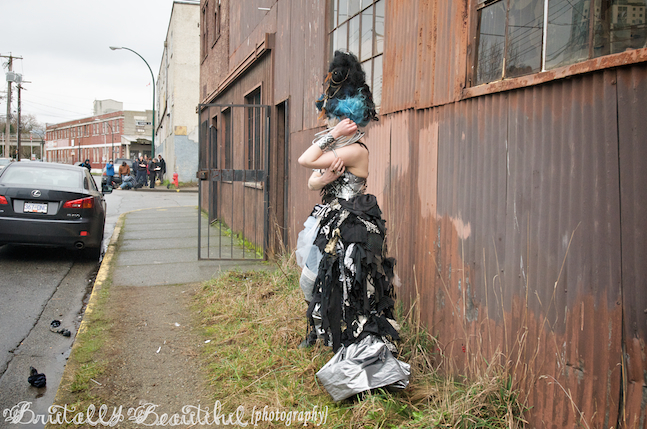 Working rusty buildings and brick walls, I knelt down for a staged picnic with Vesper Sephony. It was so great to work with these two ladies for the first time, and I am so excited to see how things will turn out. We ended the day with Jalisa sewing Vesper and I together, bonding as Siamese twins, using our body as one, and trying not to collapse a rickety wooden table. The editorial will be published at a later date, but for now, Amanda was kind enough to leak these few photos and share some of the day with us. Find the team on Facebook!